Dave Burrell attended his first Vision Festival in its fifth year, when it was held on St. Marks Place in the East Village. "The atmosphere was charged," he recalls, describing the rugged immediacy of a space that had once housed the Electric Circus, a fabled psychedelic rock club. "Everyone was there, waiting their turn to perform. It was magical." Burrell — a pianist and composer of sweeping proficiency and expeditionary prowess — performed that year, in 2000, with the redoubtable saxophonist David Murray. He has since appeared on 15 subsequent editions of the event, sometimes playing multiple sets. Now Burrell, 77, will be the recipient of lifetime achievement honors at the 23rd annual Vision Festival, to be held at Roulette in Brooklyn from May 23 to 28. The celebration focuses a spotlight on an artist with more than 50 years of recorded excellence in his rearview, though in some respects Burrell is still an underdog — a circumstance well suited to the Vision Festival ethos and persona. "He is a great pianist with an absolutely unique approach to the music," Patricia Nicholson Parker, the founder and artistic director of the festival, wrote in an email. "He is a musical leader and a great improviser and collaborator. He has inspired younger artists through workshops that he has taught throughout the world. He is versed in the jazz repertoire from Jelly Roll Morton to Monk to Ellington to Burrell. He embodies the continuum of Jazz." Darius Jones, pictured here at the 2017 Vision Festival, will perform this year with Dave Burrell. Burrell's three scheduled performances on May 23 underscore the point. He'll present a project called Harlem Renaissance, with a quintet that includes a contemporary, the master drummer Andrew Cyrille, as well as a younger partner, the riveting alto saxophonist Darius Jones. 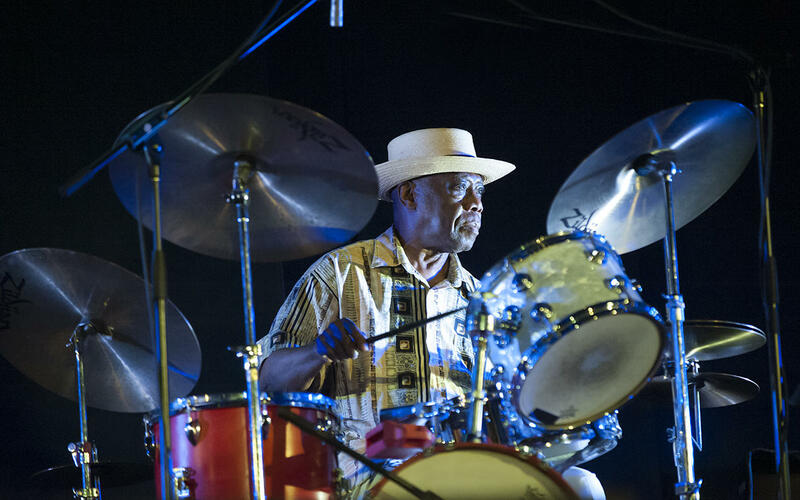 Andrew Cyrille, seen here at the 2016 Vision Festival, will perform this year in two groups led by Dave Burrell. A separate Burrell quintet set will feature Cyrille with the bassist and Vision Festival stalwart William Parker, behind a pair of imposing tenor saxophonists: Kidd Jordan, 82, and James Brandon Lewis, 34. True to form, the festival lineup includes other tireless elders from the post-1960s avant-garde, including the multireedist and composer Roscoe Mitchell, in an improvising trio called Space; the saxophonist Oliver Lake, leading his powerhouse big band; and the saxophonist Charles Gayle, a 2014 Vision Festival lifetime achievement honoree, in By Any Means, which has Parker on bass and Muhammad Ali (brother of Rashied) on drums. Last year's honoree, Cooper-Moore, will perform one of his haunting and peripatetic solo piano sets. Charles Gayle performing at the Vision Festival. He'll return this year with a trio. Other inclusions on this year's lineup represent a younger cohort, and in some cases a more mainstream profile — though they all adhere to what Nicholson Parker, in conversation, described as an "uncompromised boundlessness" of expression. Among these are the trumpeter Ambrose Akinmusire, the pianist Kris Davis and the drummer Tyshawn Sorey, who will appear together in a collective trio. Also on deck is Irreversible Entanglements, a group led by the bassist Luke Stewart and largely propelled by the furious, fearless spoken-word poetry of Moor Mother (a.k.a. Camae Ayewa). Trumpeter Jaimie Branch, coming off a breakout year, will lead her signature band, Fly or Die. A collective quartet called Cleaver / Potter / Virelles / Lopez might seem incongruous for the presence of Chris Potter, a leading saxophonist in modern jazz, and hardly a Vision Festival fixture. But a version of the group, which also features drummer Gerald Cleaver and pianist David Virelles, appeared recently on the Evolving Series, which is likewise presented by the nonprofit Arts For Art. 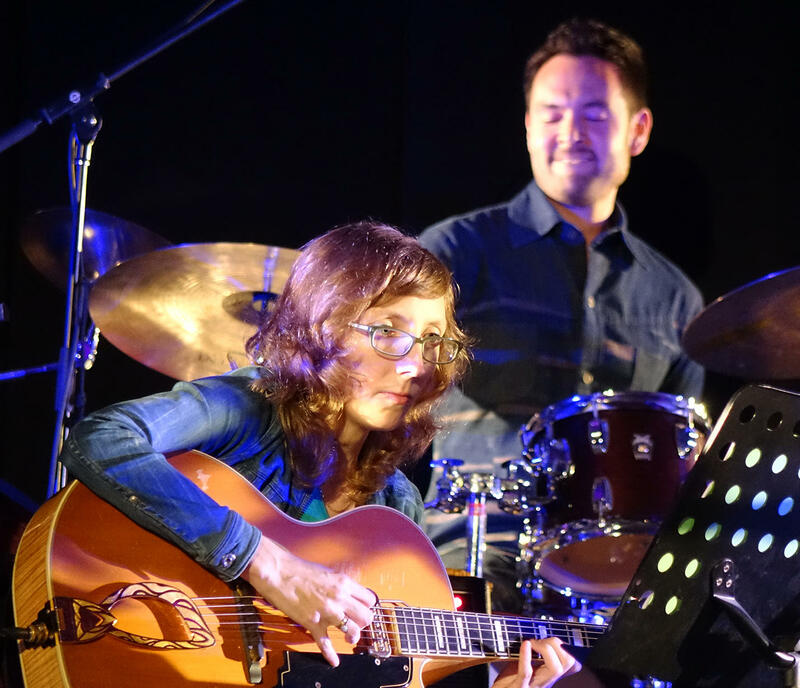 Mary Halvorson and Tomas Fujiwara, pictured here at the 2017 Vision Festival, will return this year with Code Girl. 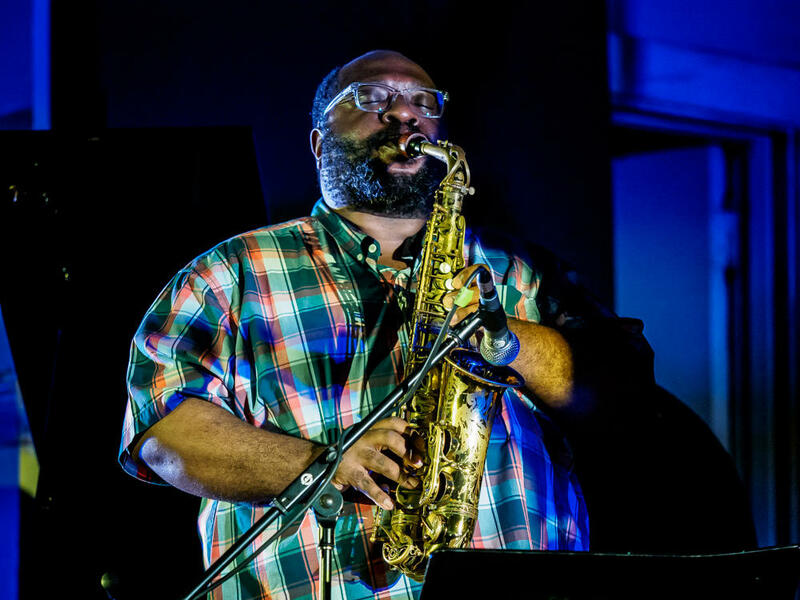 Along similar lines, the drummer Nasheet Waits will lead his group Equality, featuring Jones on alto saxophone, Mark Helias on bass and Aruan Ortiz on piano. And the guitarist Mary Halvorson will present Code Girl, her new project with Akinmusire, the vocalist Amirtha Kidambi, the bassist Michael Formanek and the drummer Tomas Fujiwara. Nicholson Parker, wary of the festival's commitment to legacy, frames these artists as part of the avant-garde continuum. Her cousin Todd Nicholson, an accomplished bassist serving as executive director of the Arts For Art board, frames the situation a bit differently. "Having grown up in the '80s," he says, "I always felt like the jazz scene was kind of binary — like it was always 'you're either one or the other,' with respect to straight-ahead or free jazz. I don’t think it's that simple anymore. These artists are finding a way to crack the code, and be truly themselves, and mix all these elements together in a way that we haven't heard before." Burrell has the same objective, more or less. "I do feel a need to put my best foot forward," he says, describing some of the preparation already underway for his three featured sets. Quick to acknowledge his own privilege as an honoree, and align himself with the sociopolitical undercurrent that has run through the Vision Festival throughout all these years, Burrell has a pithy assessment of the event's importance: "I think that it’s central to the world’s continued appreciation of the avant-garde in the arts." The 23rd Vision Festival will be held from May 23 to 28 at Roulette. Full festival passes can be purchased here; nightly tickets will go on sale in early March. A bundle of discarded wood on a New York City sidewalk, and a piece of advice from a close friend, inspired the artist Cooper-Moore to become an inventor of instruments. In the 1970s, he was an integral part of the loft-jazz scene, along with his old college buddy, saxophonist David S. Ware. As Cooper-Moore explains in this Checkout podcast, he played the piano more than proficiently, but wanted to set himself apart further. An instrument-maker gets his due.